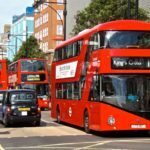 Clean Air Strategy: have we missed a golden opportunity to clean up transport? Ian Johnston, CEO of EV charging company, Engenie, says transport policy was conspicuous by its absence in the Clean Air Strategy. 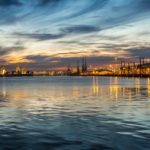 In the space of four days, the government has made two of the most significant announcements affecting air quality in recent memory. The first, announced yesterday, is a new plan to tackle air pollution that the government says goes beyond existing EU rules and pledges to match the more demanding World Health Organization (WHO) standards. The new Clean Air Strategy is far-reaching, holding farmers to higher air quality standards, while also placing restrictions on wood-burning stoves. The new plans will mean that farmers will have to minimise fertiliser use, sales of traditional house coal will be phased out and only the cleanest forms of biomass stoves will be available from 2022. When announcing the plans, the government recognised the environmental, health and economic cost of dirty air, citing it as one of the biggest threats to public health in the UK. The new Clean Air Strategy will undoubtedly have a significant positive impact on the air we breathe. Ministers even claim that the number of people living in areas with pollution above WHO guidelines will be halved by 2025. However, there is one sector that was noticeably absent from the plans – transport. Regrettably, the strategy featured no new measures to combat transport air pollution, with the government only reaffirming last year’s pledge to end the sale of new petrol and diesel vehicles by 2040. This brings us to the second significant announcement, which was unfortunately much less ambitious. Despite considerable pressure from the Business, Energy and Industrial Strategy (BEIS) Committee on Theresa May to bring forward the 2040 ban on new petrol and diesel cars to 2032, the government announced it would not be doing so. Transport is a significant contributor to the UK’s air quality crisis. 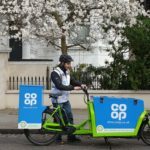 By rejecting calls to bring the ban forward, the government has not only failed to prioritise the health of everyday people, it has also missed a golden opportunity to clean a sector where alternative, non-polluting technology exists and is readily available in the form of electric vehicles (EVs). Is the tide already turning? While the absence of bold and ambitious policy to phase out the internal combustion engine (ICE) and incentivise EV use is disappointing, it’s important to remember the impact that businesses and individuals can have on local air quality, regardless of government policy. In the last three months alone, Engenie announced two major partnerships with forward-thinking businesses that want to encourage EV uptake by installing rapid charging points at their properties. As a result, both companies – Marston’s Pubs & Taverns and M7 – are now collectively responsible for removing nearly 5 tonnes of harmful NOx from UK roads every year. 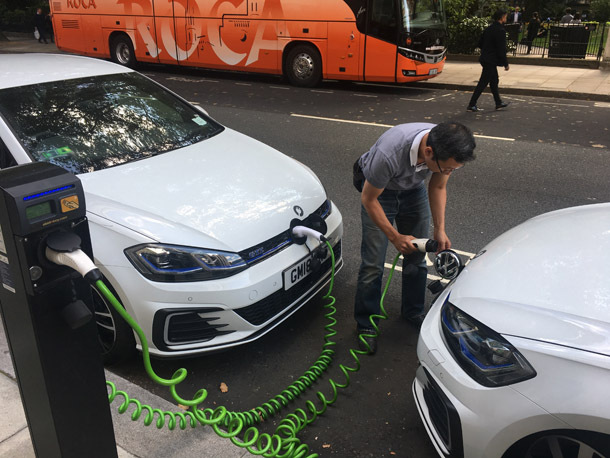 This demonstrates the huge impact EVs can have on air pollution, especially given the King’s College London Air Quality Network cites an air pollution level of just 60+ microgrammes of NO2 per cubic metre is enough to fail the annual mean objective for London air quality. What’s more, we’re increasingly seeing businesses and individuals adopting EVs, whether it’s by upgrading ageing ICE cars or by electrifying entire fleets. Recent figures from the Society of Motor Manufacturers and Traders (SMMT) show that while total car sales fell 6.8% in 2018, sales of alternative fuel vehicles, which includes EVs, hybrids and hydrogen cars, rose by 21%. And with overall cost-per-mile around a third of that of a petrol or diesel equivalent, it’s not just good for the environment, it makes good economic sense. Whether you’re a local authority, business or an individual looking to play your part in the fight against air pollution, don’t be disheartened by the lack of ambition at the national level. Use it as motivation to make a meaningful change to your local air quality.